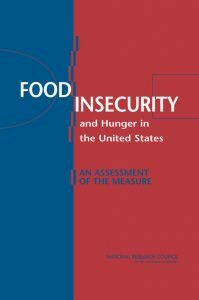 ’82: Hunger Action Network is formed at “Food, Famine and Federalism” Conference on May 20th. ’83: Plays a leadership role in improving the handling of federal surplus commodities. Mobilizes to oppose cuts in food stamps. Begins organizing regional anti-hunger networks. ’84: Helps obtains $7.5 million in start-up funds for Supplemental Nutritional Assistance Program (SNAP, now HPNAP)), including $1.25 million for Emergency Feeding Programs (EFPs). Conducts a statewide survey of EFPs. ’85: Hunger Action Network organizes World Food Day activities at the state legislature. Hires first staff. ’86: Hunger Action Network pressures NYS Council on Food and Nutrition Policy to coordinate state action on hunger. 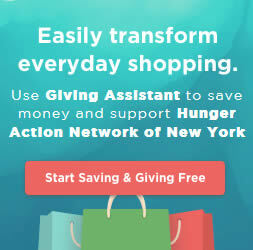 Hunger Action Network holds first rally and march on April 22, from State Capitol to NYS Department of Social Services to push for expedited food stamp reform. NYS Office of Community Gardens created. ’87: Hunger Action Network obtains funding for capital equipment for EFPs. Nutrition outreach program enacted. Win next day issuance of expedited food stamps. Hunger Action Network releases Food with Dignity, a study of 2,000 households using food pantries, with funding from Robert Sterling Clark Foundation. ’88: Hunger Action Network organizes its first lobby day. Conducts the first survey of legislative candidates. Launches campaign to increase welfare benefits. Obtains funding for nutritionists at food banks. ’89: Gov. Mario Cuomo cites Hunger Action Network in calling for a welfare benefits increase. NYC office opens. ’90: Hunger Action Network begins the campaign to expand school breakfast program statewide. Releases “Asleep at the Wheel,” a study on how NYS should strengthen its oversight of local welfare offices. ’91: Organizes Hunger Awareness Day. “Beyond Emergencies: Future Directions for EFPs” is published. Hunger Action Network wins the campaign for direct enrollment of food stamp households in the school meals program. Conducts first SNAPSHOT survey of local DSS offices. Holds the first Feast for Famine, our annual dining gala. ’92: Hunger Action Network helps start Harvest for the Hungry Garden at state office campus in Albany. Helps organize soup kitchen protest of 3,000 at Democratic National convention in NYC. ’93: Legislation passes to expand school breakfast program statewide. Client empowerment program starts. Organizes local DSS coalitions. Launches a statewide campaign to raise state minimum wage. ’94: Initiates “Jobs Now” welfare reform plan focused on job creation, increased access to child care and health care, and Make Work Pay. Community Voices Heard starts in NYC as a welfare rights group. Initiates Children’s Anti-hunger Poster Project. Starts seedlings distribution in Capital District. ’95: Works on welfare reform at both state and national level. Releases study on the effectiveness of workfare in moving participants into jobs. Organizes Camp Patakiville “homeless city” protest at State Capitol. Organizes first Thanksgiving Fast on welfare and hunger issues. ’96: Conducts SNAPSHOT survey of child care. Releases report showing many counties pay workfare participants sub-minimum wage. Documents one million jobs gap in NY. 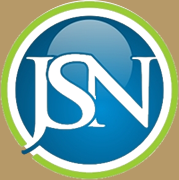 Publishes a national article on privatization of welfare. Pressures Governor to sign food stamp waiver for unemployed adults. Organizes NYC Salute to Anti-Hunger leaders. Baby Boost fairs (health fairs focused on infants and small children) organized in Harlem and Albany. ’91: Earned Income Disregard raised. Launches Fair Budget Campaign. Publishes Faces of Welfare Reform. ’98: Launch Living Wage campaign for Albany County. Drafts Empire State Jobs Bill to create transitional jobs for welfare participants. Help organizes the NYC Coalition for Job Creation. Develop model county Employment Plans for welfare participants. Develop model corporate accountability legislation for New York. ’99: Obtains $12 million increase in state funds for emergency food programs. A completed second statewide survey of EFP guests, launch annual Grow an Extra campaign to get backyard gardeners to donate to EFPs. Obtains state funding for welfare transportation initiatives such as Wheels to Work. 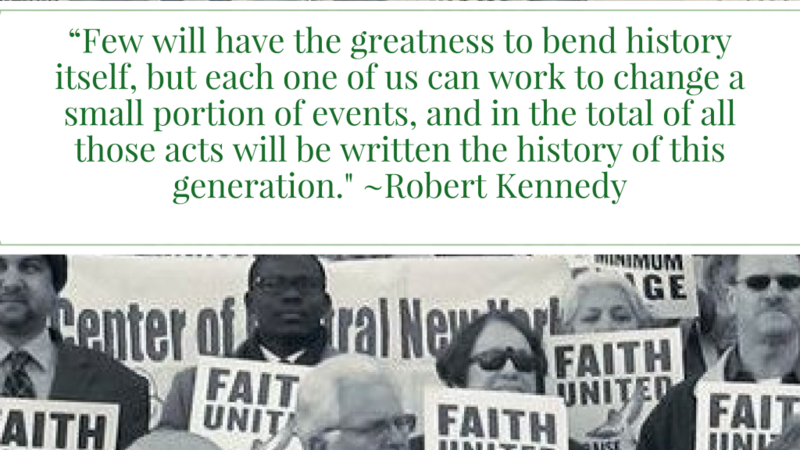 ‘00: Faith and Hunger Network is organized. Obtains $47 million in funding for job creation for welfare participants. Wins an end to Learnfare program that penalizes poor children who miss school. Toll-free Hunger Hotline started. Empire State Economic Security (ES2) Campaign initiated with Hunger Action Network as lead. ’01: Hunger Action Network initiates a lawsuit against NYS Labor Department for failing to raise the minimum wage. The Fair Budget campaign launches an effort to reform the state budget process. Helps pass legislation to allow work study to count towards meeting welfare work requirements. ’02: More than 200 people attend TANF Reauthorization conference in Albany. Work with Congressman McNulty to sponsor Congressional briefing in DC. Co-coordinated the national Welfare Made a Difference Campaign. Helped obtain an additional $40 million in funding for child care. Online Emergency Food Program (EFP) directory established. ’03: Convinces legislators to close the Geoffrey the Giraffe corporate tax loophole and gets a small increase in personal income tax on wealthy New Yorkers. Passed a basic education bill for welfare participants but vetoed by Governor Pataki. Upstate Community Supported Agriculture (CSA) project initiated. ’05: Hunger Action Network helps introduce legislation to create a universal health care commission. Published “Job Creation and Housing Capital Programs” to highlight the job creation aspects of affordable housing development. ES2 coalition is successful in helping to achieve $25 million in additional funding for housing capital programs, including a $10 million increase in the Housing Trust Fund. ’06: Obtain a $100 million state increase in HEAP Funding. Assembly passes universal health care commission bill 135 to 1. Legislature agrees to reforms in the Charity Health Care Program at hospitals. Governor agrees to auction off all permits under the Regional Greenhouse Gas Initiative, raising hundreds of millions of dollars annually for taxpayers. Launch a statewide campaign to raise welfare benefits. ’08: Helped open 2 new summer feeding sites in Poughkeepsie. Organize a low-income CSA project in Long Island City. Helps launch Single Payer NY to coordinate statewide action. Hunger Action joined the coalition organized by Center for Working Families to promote the Green Jobs, Green Homes proposal to create 30,000 plus jobs by energy retrofitting up to one million ones. ’09: Wins a three-year commitment to raise the state basic welfare grant by 10% a year, the first increase in 19 years. Helps enact a state millionaire’s tax. Help’s secure $70 million in state funding for transitional jobs and other jobs programs for welfare participants. Increase HPNAP funding by $4.4 million. The Bigger Better Bottle Bill enacted. Launches campaign to raise state minimum wage to $10 an hour. ’10: Hunger Action Network helps coordinate statewide work on the reauthorization of federal child nutrition programs. Along with Just Food, HANNYS convenes NYC groups to begin work on Farm Bill reauthorization with more focus on healthy foods, family farmers and ending hunger. Releases report documenting the failure of NYS’ welfare to work programs. Advocates for NYS Stock Transfer Tax to fund 500,000 public jobs programs. State study concludes that single-payer health care is the most cost-effective approach for NYS. ’11: Supports efforts to protect NYC Community Gardens. Helps organize May 12 protests against Wall Street. Pushes for a peace dividend to resolve the federal deficit. Millionaire’s Tax partially extended. Joins coalition in support of a Living Wage Law for NYC. ‘12: Helps to win a final increase in the basic welfare grant despite opposition by Governor. Works with Northeast Organic Farming Association (NOFA) to organize several upstate meetings to convene an NYS Food Policy Council network of local and county-based groups working on this issue. Continued work on raising the minimum wage. Outreach to protect SNAP. A major priority is to establish a universal school breakfast in the classroom program. ‘13: Hunger Action Network helps to obtain an increase in the State minimum wage to $8.00 an hour with increases over three years. Initiated with others a Mayoral Forum on the Future of Food with over 700 people attending and another 1,300 watching via live stream. Active in the campaign for universal school lunch in NYC. Hunger Action Network as a statewide steering committee member supports the adoption of a labeling requirement for genetically modified foods. Governor launches Anti-Hunger Task Force. ‘14: Congress passes a new farm bill with cuts of $4 billion over 5 years. Hunger Action Network helps convince Governor Andrew Cuomo to increase HEAP payment to public housing residents to $20, enabling 300,000 households to avoid losing over $400 million in SNAP benefits. Help get a law passed increasing the amount of local food the state government purchases. Requests State Comptroller to audit the labor department’s performance on handling wage theft cases. Results showed a backlog of over 17,000 cases. ‘15: Supported tax credit for donations of wholesome food to a food bank/emergency food program by eligible state farmers, passes the legislature, vetoed by Governor. Continues statewide coalition work to stop harmful cuts to Child Nutrition during reauthorization. Assembly passes Single Payer Healthcare Bill after 20 years. Hunger Action Network creates a bipartisan legislative coalition to increase funding to HPNAP. Pushes for the release of Governor’s Anti- Hunger Task Force recommendations. ‘16: Anti- Hunger Task Force recommendations released. Hunger Action Network, Assemblyman Crespo, Senator Bonacic, Food Bank of NYC, Association of Food Banks with over 150 guests of emergency feeding programs hold a press conference in Albany on increase to HPNAP. Governor increases HPNAP $6 million. Assemblyman Crespo secures another $500,000 for HPNAP. Wage Theft bill passes the Assembly after two years. Want to learn more about the history of the hunger advocacy movement?